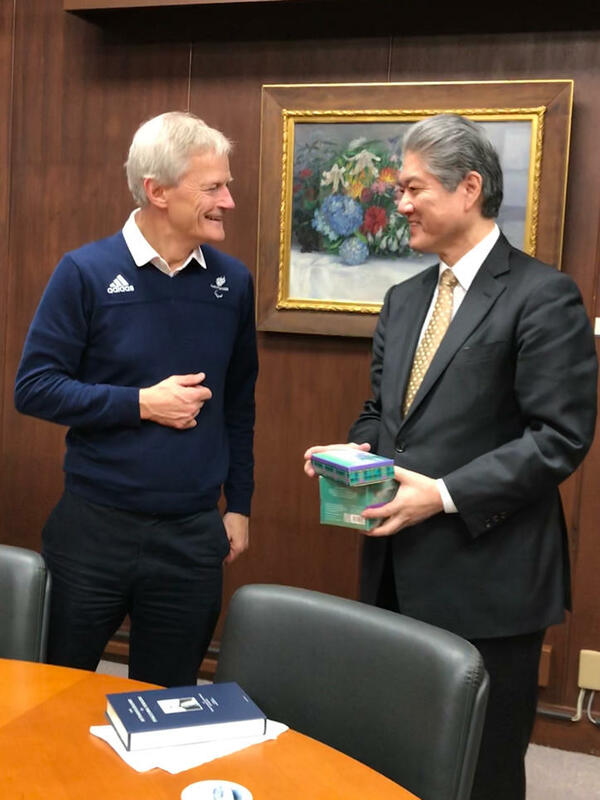 On Monday, March 4, 2019, newly appointed CEO of the British Paralympics Association (BPA) Mike Sharrock visited Keio University Mita Campus and met with President Akira Haseyama and Vice-President Naoki Watanabe. He was accompanied by Penny Briscoe OBE, ParalympicsGB’s Chef de Mission for Tokyo 2020. Mr. Sharrock took this opportunity to express his gratitude to Keio University, which will host the Tokyo 2020 preparation camp for the British Paralympic team. Keio has already welcomed BPA members for numerous site visits, while multiple facilities at Hiyoshi Campus are currently under consideration for renovation work ahead of 2020. Mr. Sharrock added that he was very lucky to have inherited such a strong team headed by Ms. Briscoe, and that the transition from his predecessor Tim Hollingsworth had gone smoothly. Mr. Sharrock only took up the position of BPA CEO in January of this year, but he has extensive experience of the Paralympic Games as the leader of BP’s tier 1 partnership with both the London 2012 and Rio 2016 Games. He spoke of his firm belief in the power of the Paralympic movement as well as the potential for athletes to make a huge impact on society, and he is very much looking forward to seeing the same thing happen in Tokyo. President Haseyama expressed his admiration of university sports in the UK, especially in terms of education. It is from here, he said, that sporting amateurism originates, as well as the spirit of the Olympic and Paralympic Games. The day before the meeting was the Tokyo Marathon 2019, and President Haseyama noted that the success of the wheelchair races of the event highlighted the increased interest of "parasports" in Japan. 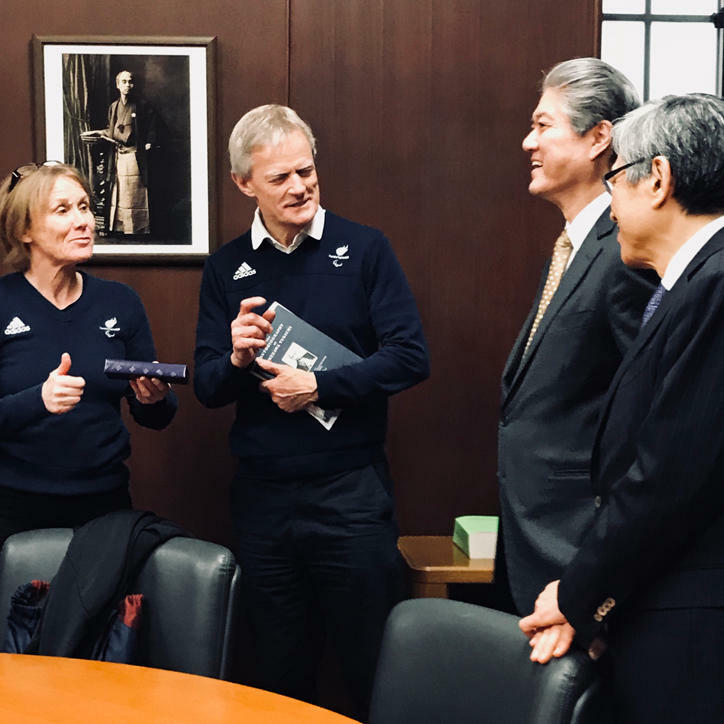 Furthermore, he reiterated Keio University’s continuing support for ParalympicsGB and its eagerness to learn more from the team and its staff in the lead up to the Games.